Versace’s Senior Director of Sneakers has just treated us to a sneak peek of Kanye West’s latest Yeezy 700 update on Instagram. 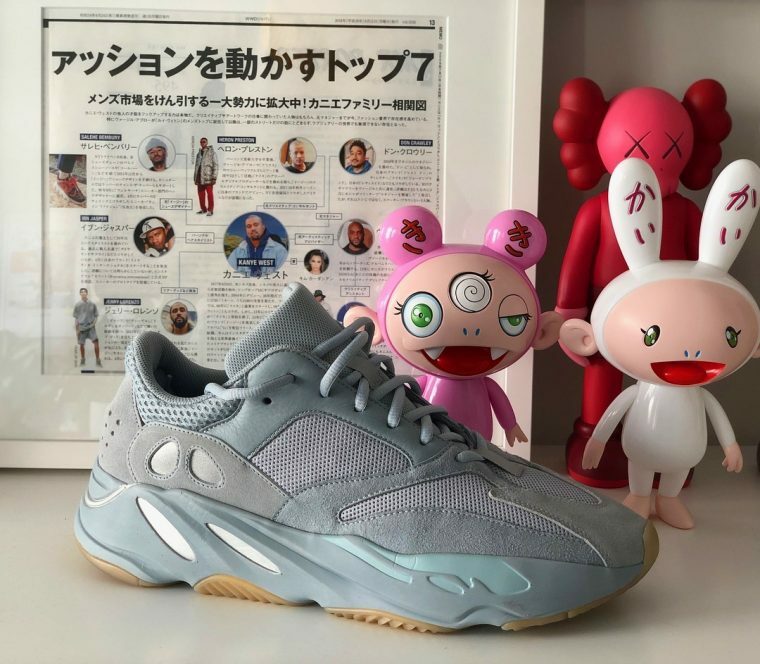 Salehe Bembury received the sneakers as a gift direct from Ye himself following a morning meeting that he took with the fashion and music mogul. Arriving as the third rendition of the V1 Wave Runner, this pair is decorated in misty blue and grey hues for a calming aesthetic. Featuring similar design notes to those reflected within adidas x Yeezy’s recently unveiled “Inertia” colourway, the new model replaces coral highlights on the midsole with more understated hits of white. A minimal gum outsole completes the look under foot. Whether you prefer the “Inertia” or you’re dreaming of this fresh interpretation, make sure to stay tuned for updates on the latest release information from brand Yeezy.